Replicating the project's success in other communities. Compassion - We acknowledge, listen and respond to our clients' and staff's needs in a caring manner. Competence - We demonstrate expertise and solidarity with the community in carrying out our responsibilities and inspiring others to have confidence in us. Diversity - We respect our individual differences, beliefs and uniqueness. The Manang District is one of the most beautiful places in Nepal. Close to the border with Tibet, Manang is known as the "Gateway to Heaven." The people are very friendly, and the environment is homely. The stones, hills and magnificent Himalayas are deeply impressive to all who encounter them. The Manang District is clean, and Tibetan Buddhist philosophy is present everywhere. However, existence here is not easy. 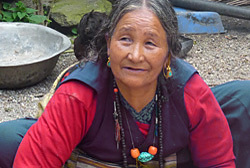 Life expectancy is even lower in Manang than in the rest of Nepal. The United Nations' Millennium Development Goals point to an astonishing infant mortality rate of 88.46 per 1,000 live births in the District of Manang (Nepal's rate is 47.46; the U.S. rate is 6.3). Dr. Devi Gurung States was born and raised in the Tilche Village in Manang, Nepal. After his parents passed away, he became homeless in Kathmandu because he was too young and could not find a job. He lived for months in the streets of Kathmandu until he found a job at KC's Restaurant as a dishwasher. Dr. Devi Gurung States completed his high school education at Lewis and Clark High School in Spokane, Washington, and he received his Bachelor's degrees in pre-medicine and psychology from Eastern Washington University in Cheney in 1991. After completing his high school and undergraduate education in the state of Washington, Devi asked his father, Dr. James States, what he could do to pay him back for giving him the opportunity to prosper in the United States. Dr. James States simply told him to help people. For this reason, Devi decided to pursue his graduate degree in Social Work and learn the skills of helping people. He completed his Master's degree in Social Work (MSW) at Saint Louis University in 1994. Following this, he worked as a medical social worker and developed an interest in healthy lifestyles and preventive medicine. This led him to earn a Master's degree in Public Health (MPH) from Saint Louis University in 1997. Currently Devi holds the Doctor of Health Science (DHSc) degree in healthcare leadership from Nova Southeastern University. Utilizing his knowledge and training from his Master's and Doctorate studies, along with many years of professional work experience with chronic disease prevention and health promotion, Dr. Devi Gurung States brought his first dream to fruition. February of 2004 saw the grand opening of the Everest Cafe & Bar. Through this venue, Dr. Devi States has taken a unique approach to promoting healthy lifestyles by serving nutritious and tasty meals, along with free health screenings, for his customers. The Board of Directors and Advisory Board both operate on a volunteer basis. John Williamson is a senior leader on the Global Operations organization within Equifax, Inc. He serves as the Senior Vice President, Operations for the Workforce Solutions business unit of Equifax. Equifax Workforce Solutions, replaces slow, paper-based tasks so that organizations can provide better, faster employee service. It enables organizations to meet demands for reduced costs and higher service levels.9,000 organizations, including 3/4 of Fortune 500 companies, are served with web-based services in three employment-related areas. Mr. Williamson joined the Workforce Solutions business unit in 1997 and has held progressively significant roles over the course of his tenure in human resources, account management, operations and information technology. Previous to joining TALX, he held senior management roles in product management, human resources and sales management with General Mills and Macy’s. Mr. Williamson holds a Masters in Business Administration from Washington University in St. Louis and Bachelor of Science in Finance, from Miami University - Ohio. Among his various other roles, he serves on the St. Louis advisory board of College Summit, a national non-profit organization that helps under resourced communities’ high schools raise their college enrollment rates by building a college-going culture. Mr. Williamson is also a member of the Washington University’s Olin School of Business alumni board. He and his wife have three children that live at home and are foster parents caring for children who have been removed from their home by the state. 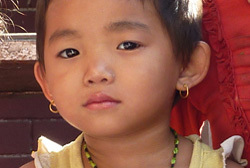 Board of Directors - U.S.
Are you interested in helping to improve quality of life to the poor and underserved Nepal? 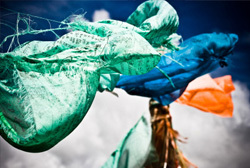 Himalayan Family Healthcare Project is looking for individuals who have a background in volunteering with nonprofit organizations, has or had professionals positions and is willing to donate their time to join our Board of Directors to help accomplish our mission of providing primary healthcare and education services in remote areas of Nepal. Dr. Cottler is currently the Dean's Professor of Epidemiology and the Chair of the Department of Epidemiology at the College of Public Health and Health Professions in Gainesville, Florida. She was formerly Professor of Epidemiology in the Department of Psychiatry at Washington University School of Medicine in St. Louis, Missouri. She was also formerly the Director of the EPRG and the Master of Psychiatric Epidemiology (MPE) program as well as the WU CTSA Center for Community Based Research. Dr. Cottler's NIH funding has been in two major areas. First, the work has focused on the development of reliable tools to assess addiction to drugs, alcohol, nicotine, caffeine, gambling, and the internet, and risk factors for addiction. These tools are used internationally. She has led the DIS Training Center and SAM Training since the early 1980s. Research in this area has also focused on nosological/classification studies of substance abuse and dependence (specifically MDMA, crack/cocaine, inhalant and prescription drug use). Second, Dr. Cottler's studies have focused on community based peer delivered interventions to change behaviors associated with HIV and STDs. She and her team have worked with underrepresented populations including out of treatment crack cocaine and heroin users, seriously heavy drinkers, injection drug users, prescription drug misusers, and inmate populations. A special emphasis of her work has been changing high risk behaviors among women who use drugs and those who are in the criminal justice system. Dr. Cottler is the former Director of a 28-year NIMH Post-Doctoral Training Program in Epidemiology and Biostatistics. She is Director of a NIDA Pre- and Post-Doctoral Training Program in Comorbidity and Biostatistics, and PI of a Fogarty International Center Training Program at the National Institute of Mental Health and Neurosciences in Bangalore, India. She has reviewed for numerous journals and NIH institutes, was a 2006-2007 ELAM fellow, and is the APPA's Centennial 2010 President. Dr. Bitter has an undergraduate degree in Spanish Language and Literature from Washington University. While in college, she volunteered in the Dominican Republic, working on public health and sanitation projects. That trip ignited a passion for volunteer work in the developing world. She attended medical school at the University of Kansas and completed her Emergency Medicine training at the Medical College of Wisconsin. She is board certified in Emergency Medicine and also earned a Master's degree in Bioethics. 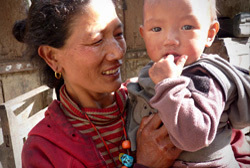 She accompanied HFHCP's mission to the Manang district of Nepal in October 2012. She is proud to be associated with HFHCP as its focus is on providing a sustainable, long-term solution to the healthcare needs of the people of one of the poorest regions in the world. 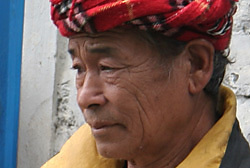 Mr. Chand was born and raised in Nepal. He moved to the United States in hopes of higher education. Mr. Chandgraduated from Saint Louis University (SLU) majoring in Management Information Systems. Mr. Chand completed his Master’s degree in Business Administration from Webster University. Mr. Chand is a senior IT Engineer at Express Scripts. 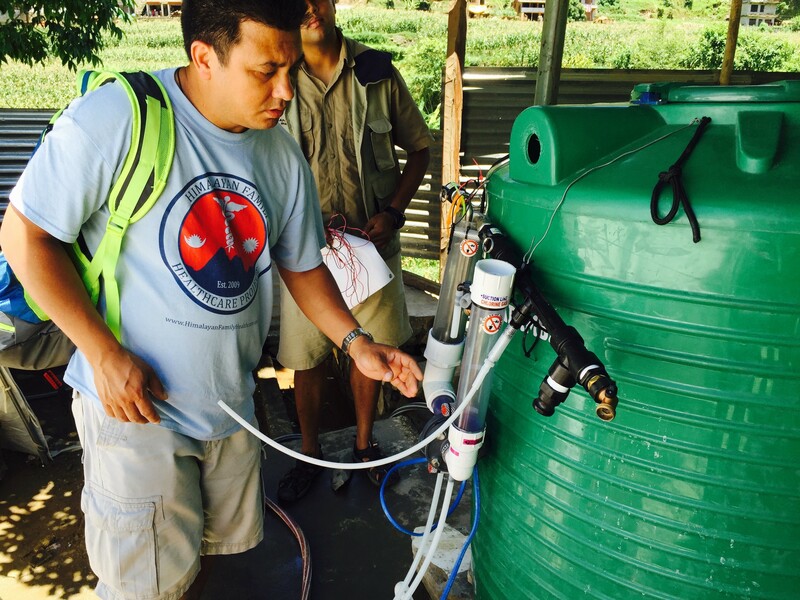 Mr. Chand recently travelled to Nepal for as a part of the earthquake relief project team that completed two water purification projects in two different villages in the Sindhupalchok District. He wants to give back to the community, not forgetting where he comes from. Currently he lives in Saint Louis with his wife, Jessica, and their three children. As chief financial officer for a large retail corporation in the 1980's, Mr. Cook had a strategic vision that technology could completely change the accounts payable and cost recovery services industry. His vision became a reality in 1991, when he co-founded The Profit Recovery Group International, Inc. (PRG). Mr. Cook guided PRG from a small enterprise with $5 million in annual revenues into an international, publicly-held corporation with 2004 revenues of approx. $357 million, with operations in over 40 countries and approx. 2,800 employees. In June, 1999, he was named Ernes & Young, LLP Regional Entrepreneur of the Year for the Financial Services category, and was inducted into the Entrepreneur Hall of Fame. Prior to PRG-Schultz, Mr. Cook held a number of top financial and management positions in the retail industry, including senior vice president and chief financial officer of Caldor Stores, a division of The May Department Stores Co., and senior vice president of finance for Kaufmann's Department Stores, another May division. He also held a position as president of Eaton Corp.'s automotive division. 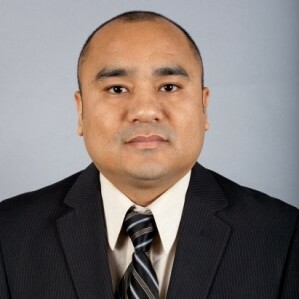 He currently services as Chairman and Chief Executive Officer of Flexible Technology Solutions, LLC (Flextecs), based in Atlanta, GA, which provides assistance to retailers and other high-transaction businesses to improve their internal controls through tools, technology and staff augmentation to correct and prevent errors in their procurement process. Mr. Cook is actively involved in the Atlanta community. He is a member of the advisory board of Emory University's Goizueta Business School and The Carter Center's board of councilors. He serves as Chairman of Fiber Online and JCN, a Nepal-based internet and cable TV company. He has been a primary benefactor of the Human Development Foundation in Bangkok, Thailand. This foundation supports Mercy Centre, Bangkok's first AIDS hospice, which focuses on children and mothers with the disease. Seeking to alleviate the suffering of children in Klong Toey, Bangkok's largest slum community, Mercy Centre also operates an orphanage and a series of schools, helping over 4,000 children a year to qualify for public education. Mr. Cook founded, and serves as chairman of the board of, the Southasia Children's Fund, which supports innovative educational programs for disadvantaged children. He holds a Bachelor's Degree in Accounting from Saint Louis University. He is a member of the university's Board of Trustees, and serves on the executive advisory board of its school of business and administration, which is named the John Cook School of Business in recognition of his notable contributions to the university. Mr. Shahi is an engineering manager at Nidec Motor Corporation. His work is focused on developing high efficiency, variable speed motors for the residential as well as commercial markets. Before the acquisition by Nidec, he worked at Emerson Motor Company as chief engineer. He received a Prolific Inventor Award from Emerson Motor Company in 2009. He has 13 U.S. patents granted thus far, with several applications pending. Mr. Shahi is a senior member of the Institute of Electrical and Electronics Engineers (IEEE). He is currently the treasurer for the St. Louis section of the IEEE, and has served on its Executive Committee since 2012. Dr. Slavin is Associate Dean for Curriculum and Professor of Pediatrics at Saint Louis University School of Medicine. A graduate of SLU School of Medicine, he completed his residency training in pediatrics at UCLA, and then served as a faculty member there for 17 years before returning to Saint Louis in 2004. At UCLA, Dr. Slavin was a leader in both interdiciplinary and pediatric education, serving as co-founder of the innovative Doctoring curriculum for medical students and also serving as pediatric residency director and Vice Chair for Education in the department of Pediatrics. In addition to his administrative duties at SLU, Dr. Slavin teaches actively in the undergraduate medical curriculum, and is director of four courses: Applied Clinical Skills 1, Applied Clinical Skills 2, Applied Clinical Skills 3, and the fourth-year Capstone Course. He has a number of professional interests including improving doctor-patient communication and empathy, enhancing the cultural competence of medical students and practitioners, improving mental health of medical students, and increasing the engagement of medical students in community service. Dr. Heather Elsner-Boldt is a practicing family medicine physician who graduated from the 6 year program at University of Missouri - Kansas City with a combined B.S. and medical degree. She completed her residency in Kansas City, Missouri and is a board certified family medicine physician. After graduating from medical school, Dr. Elsner-Boldt spent four years in Germany providing medical care to US Military personnel and their dependents. Mr. Pradhan was born and raised in Nepal. He moved to the United States to pursue higher education. Mr. Pradhan graduated with his Bachelors degree in computer science from Southern Illinois University Edwardsville (SIUE). Mr. Pradhan completed his Masters degree in Information Systems from Webster University. Mr. Pradhan is a Founding President of the Greater Saint Louis Nepalese Chautari (GSTLNC). He is currently a senior advisor to the GSTLNC. In addition, Mr. Pradhan is actively involved in the community by planning and organizing Nepali activities to raise funds for the victims of the earthquake in Nepal. Currently, Mr. Pradhan is a Financial Engineer and Vice President at Citigroup in O’Fallon, Missouri. He manages the interest rate risk modeling and analytics of the company's $100+ billion mortgage portfolio and daily pricing of new jumbo loan origination pricing for CitiMortgage. He lives in Saint Louis with his lovely wife, Rachana, and his two children, Dravya & Darsh. Mr. Gurung was born in Thonche, a small village in the district of Manang, Nepal. He attended and completed higher secondary education from the Central School for Tibetans in Mussorie, India. He was one of the few children in his village at the time to attend a school in India. Unfortunately, he was unable to continue with his further education due to the collapse of his father's trade business with Tibetan merchants after the occupation of Tibet by China in 1959. That is when he began a professional career, working as an accountant and supervisor for Buddha Construction Company in Nepal. It is in the field of Social Work, however, where he finds himself most dedicated, and where he feels truly satisfied. He has been involved in several projects and initiatives, most of which focus on the district of Manang. Mr. Gurung is the Chair for the Kathmandu-Manang District Service Center. He currently serves as the Treasurer for the Manang Development Society. He is the Coordinator for the Lhamjung-Manang District Road Development Society. And he is also the Donation Coordinator for Shree Prakash Jyoti Higher Secondary School in Thonche, Manang. Dr. James States is the medical director and founder of the first private practice Adolescent Medicine Clinic in the Northwestern U.S. He completed a Postgraduate Fellowship in Adolescent Medicine at U.S.C. (University of Southern California) in 1978, and is Board Certified in Adolescent Medicine and Family Practice. Dr. States has extensive experience working with youth-at-risk as well as adolescents and college age populations who have diverse multicultural backgrounds. He has provided consultation to Eastern Washington University, The Healing Lodge of 7 Nations, and to Fairchild Air force Base. He has presented hundreds of seminars at professional meetings on Adolescent Medicine topics. Dr. States provides consultation to parents, physicians, schools and universities on the complex medical and psychological issues of adolescents. Dr. States is an internationally known climber, successfully ascending routes in South America, the Canadian Rockies, India and Nepal. He summited on the first American ascent of the North Ridge of Nanda Devi (25,645') and was the 17th American to climb Mt. Everest. He integrates his mountaineering experiences into his clinical work and seminar series. Gyan K. Kayastha, M.D., M.P.H. Originally from Kuala Lumpur Malaysia, Ms. Keathley came to St. Louis to further her education after spending a few years teaching at a school for the deaf and working with the American Peace Corps in Malaysia. Sarah attended Washington University, St. Louis where she did both undergraduate and graduate work in Speech and Hearing and in Deaf Education K-12. Ms. Keathley has taught in various schools for the deaf in and around the St. Louis area, and was a First Steps provider for the State of Missouri as well. In addition, she is also trained in American Sign Language and has been a licensed and certified interpreter for the deaf and hard-of-hearing. She has a Masters in Teaching English to Students of Other Languages (TESOL) with an emphasis and certification in Adult Education and Literacy. Presently Ms. Keathley is a high school teacher for the Rockwood School District in Missouri where she teaches American Sign Language and deaf culture. She also volunteers and tutors adult non-native speakers to prepare them for the citizenship exam and to help them with the English Language. She writes: "Growing up in a multi-cultural environment has taught me to learn and respect the culture and language discourse of others. In whatever capacity we choose to befriend or help someone who is of another culture other than ours, we must first learn to understand and respect their cultural values and traditions. Otherwise we are merely imposing ourselves on them." Majesh Makan, M.D., F.A.C.C., F.A.S.E. Dr. Makan is an Associate Director of Echocardiography at Barnes-Jewish Hospital as well as an attending physician and echocardiographer. He is also an Associate Professor of Medicine at Washington University School of Medicine in St. Louis, Missouri. He was born in Bardoli, India, which is in the State of Gujarat. Dr. Makan received his doctoral degree in medicine from the University of Panama School of Medicine, Republic of Panama. He is a Fellow of the American College of Cardiology and the American Society of Echocardiography. He is also a member of the American Heart Association's Council on Clinical Cardiology and the Society of Cardiovascular Computed Tomography. Dr. Makan received the award for Outstanding Contribution to Medical Education from New York Methodist Hospital, Brooklyn, NY; the honor of Teacher of the Year from New York Methodist Hospital; and on four occasions, the Teacher of the Year award from Washington University School of Medicine in St. Louis. His editorial and reviewer responsibilities include "Echocardiography," "Coronary Artery Disease," "European Journal of Echocardiography," and "American Journal of Cardiology." He has participated as an invited speaker at numerous presentations around the world in his area of medical expertise. Dr. McLaren is board certified in Preventive Medicine and Occupational Medicine. Dr. McLaren is also a board certified family medicine physician. Dr. McLaren received her medical degree from the University of London. In addition, she obtained her Master of Public Health degree from Saint Louis University, Saint Louis, Missouri. Dr. McLaren is a Clinical Associate Professor of Community and Family Medicine at Saint Louis University School of Medicine. She is also on the medical staff at St. Anthony’s Medical Center in St. Louis. Dr. McLaren has provided several community volunteer services, including physician volunteer services at Padhar Hospital in India, supervising physician residents. Dr. Daniela Silvestre is a Brazilian Pediatric Surgeon. In 1998, she graduated in Medicine from Universidade de Santo Amaro (UNISA), Following General and Pediatric surgery residency, she teaches medical students in UNISA and in Universidade São Francisco since 2005, and also works in public government hospitals for careless children. In 2013, she was nominated as a directory member of Paulista Association of Pediatric Surgery (CIPESP). She was in Nepal in 2013 as a medical volunteer with The Himalayan Family Healthcare Project in Manang. Now, she has applied for Sports Medicine in UNIFESP and is developing social projects in The Brazilian Association of Wilderness Medicine (ABMAR). Mrs. States is a co-founder of the Himalayan Family Healthcare Project and co-owner of the Everest Cafe and Bar in Saint Louis, MO. She has training in computer networking. James H. States is a premed student at Saint Louis University. Ms. Williams is a master's student at Washington University in St. Louis, studying social work and public health. Her work is focused on global maternal and child health, international populations and refugee services.